Welcome to Jeff's Smog Testing Service in Covina, CA. 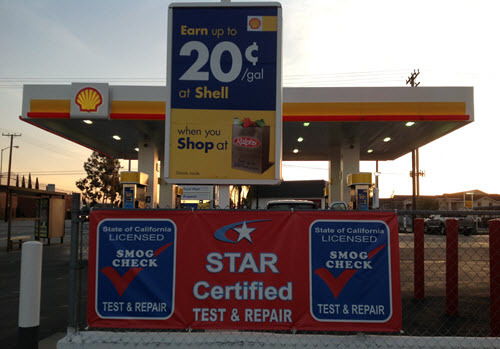 We are proud to provide smog testing services for the Covina area. No matter if you come from Covina or outside of Covina, we will gladly provide all the necessary smog and emissions testing services. At Jeff's Smog Testing Service, we will not only smog check your vehicle, but gladly offer assistance in getting your vehicle to pass smog. So drop by our auto repair shop and we will show you, why we are considered one of the best smog check, Smog Test, CAP Smog Program, Smog Inspection Station and Star Testing Repair shops in Covina. "100% excellent service through the whole process........thank you"
"Good service for the price." "Very satisfied with their auto service." "George is an expert mechanic, he knows what he's doing... Jeff treats his customers with respect. Keep up with the good work." "They provide good service and George is friendly." "Service at Jeff’s shell station is A1"
"Always happy with their service!!" "This station is run by some one that cares about you and your car, keep up with the good work Jeff and staff ." "Nice people, would highly reccommend them." "They are honest, quality work, friendly, clean facility." "Very gracious and did what I asked them to do and actually went beyond"
"Very nice people to work with." "Jeff’s Shell is always clean and cared for. Friendly service & the mechanic Jorge is phenomenal!" "Great service!!! Always very satisfied." "Honest, good work, wonderful people." "Great job Jorge!!! Always very happy with the service." "Always skilled and great service." "Personal attention not received at a dealer. We have been coming for years and know and trust all the employees." "I always tell anyone having car issues to visit Jeff’s Shell. I’ve always gotten the best service there. It’s great to have a mechanic that you can trust!" "I will always recommend Jeff's Shell Service. Jorge is great! My cars always run good with their care." "I always recommend Jeff's Shell." "Great service!!! 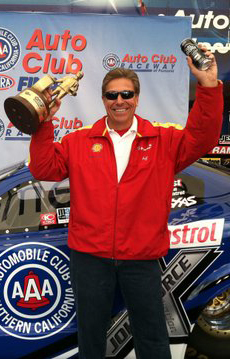 I always trust Jorge and Jeff with my cars." "Great service. I will always recommend their service to all my friends." "They take care of you, great place for you and your car..."
"They are extremely helpful, honest, and quick." "Great service!!! Always very friendly and accurate service. Good quality of work." "They stand behind there work"
"I felt as if Jeff"s Shell is trustworthy & that my car would be looked after with reliable service. 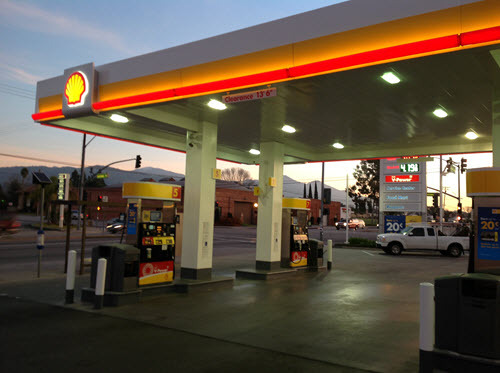 The Shell station staff is very professional and friendly." "Honesty, reasonable prices and efficiency is what you can expect from Jeff's Shell." "I have been using their service over 20 years. They take care of my car and their prices are reasonable. Most of all I trust their honesty." "THIS IS THE BEST SERVICE SHOP THIS SIDE OF THE MISSISSIPPI"
"Jorge and the cashier were very friendly and professional"
"Jorge and the cashier were friendly and professional"
"Excellent work. Very prompt service and friendly." 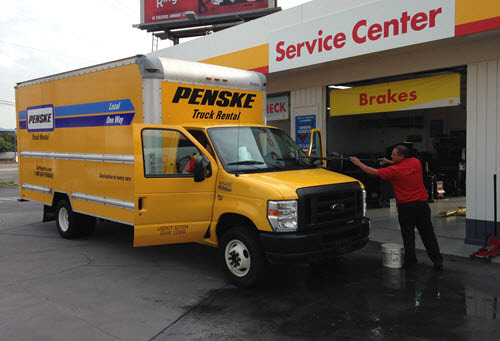 "They are the best in Los Angeles"
"I always recommend Jeff's Shell"
"I have always found the quality of work and customer service to be excellent." "IF you need work done make sure you call Jeff's Shell Services first." "I always highly recommend Jeff's Shell to anyone who asks or needs a good mechanic." "I brought my questions and "need to fix" note to Jeff. He and his mechanic examined my car, found the problem, called me for confirmation re: the part that needed to be replaced, and fixed the problem at a reasonable cost." "I would always recommend their service." "Very accommodating and extremely efficient. Jeff and George assure that the problem is identified and resolved in a timely manner." "I would recommend to any one needing work done on there car"
"It is the best thing since sliced bread." 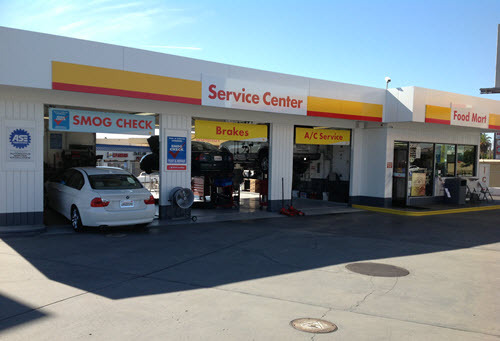 "Top notch smog test shop proving highly professional prompt attentive courteous customer service. The entire business premise is exceptionally tidy and clean." "This place is just exceptional. You don't get customer service like this anywhere else but at Jeff's Shell!! Great people = GREAT SERVICE!" "I would rate Jeff's Shell customer service as one of the best I have had in my lifetime. All employees are sincerely friendly and very helpful. Jeff's Shell Service prices are fair and honest! !!!!" "I would tell them they would be very satisfied with the work that was done." "they are honest and work very hard to make everything for there customers satisfactory"
"Super nice folks to work with, very professional staff, explained work done very well"
"Trustworthy. I have been coming here for over 40 years. Jeff's Shell is the best!" "the service is great. They take a conservative approach to finding and fixing your car's problem. Pleasant and trustworthy staff." "Very professional, honest and expedient." "Very friendly helpful and knowledgeable team. Jeff's team inspected and smogged a truck for me before I purchased it and treated it like they were inspecting it for themselves. Highly recommended Jeff's Shell Service to anyone!" "There's no better station for excellent service in the Inland Valley"
"I feel very fortunate to have found George, my awesome mechanic, at Jeff's Shell. 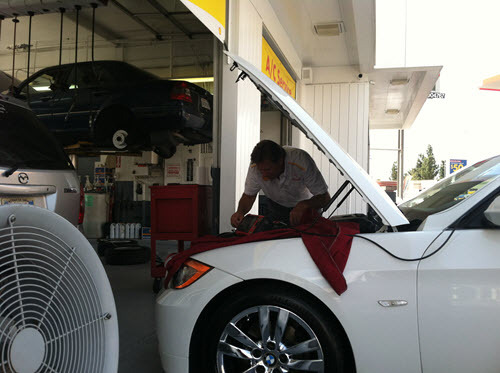 If you haven't had the experience of finding a mechanic you can trust, you should make Jeff's Shell your next stop." "I would tell them that I have been a regular customer at Jeff's for many years, and have always received excellent service, and I trust everyone who works there implicitly. They will tell me when I DON'T need service that I think I need, and they try to give me the best price possible." "Extreme quality work.... very satisfied and definitely would recomend it to others"
"Professional, Friendly, and efficient, and honest and cost effective!" "Old ladies like me need honest and reliable car repairmen. I got it at Jeff's." "That Jeff's work force is very good at what they do,and are always ready to explain their work they perform,there my kind of people !" "The workers are friendly and extremely helpful." "They are awesome.... Jorge does excellent work and Jeff is great...."
"The service was done well, and done quickly. The staff members were friendly and professional." "Both are Great, and honest !!!" "Quality of work is excellent and customer service is equal. Jeff and his staff go above and beyond normal service guidelines. Example: I took my car in for an oil change and for his staff to check a noise on the passenger side of the car. I thought the noise was a lose exhaust pipe. It turned out that my air filter box was lose that caused a knock every time I turned on the ignition. Since it was a simple fix, Jeff fixed the problem at no cost. This is not the first time Jeff and his staff saved me hundreds of dollars. Any other service organization would have probably charged me for doing something to my exhaust system. Thanks Jeff your continued service excellence!" "great service, very friendly and would recommend to others"
"No need to go anywhere else. Super friendly staff. George is my mechanic. You know how important that last statement is. And you know how hard it is to find a mechanic that has the customers best interest at heart. I believe you will be delighted to have George as your mechanic." "Reliable, friendly service, trust worthy, knowledgeable and work is reasonably affordable. My family and I will not take our vehicles anywhere else, this is the best place to have service in our opinion!!" "Excellent Quality Repairs and Customer Service"
"You receive excellent service from an excellent crew.I have never been disapointed." "They fix the problem and do it timely"
"Great service at a reasonable rate. George is awesome." "George is amazing and friendly and helpful. Jeff is so nice and kind. Staff are just the best to work with. A trusting team who deliver high quality service." "It was clean it was fast and it was easy"
"I give them 5 stars in service and HONESTY!!! I won't take my car to be serviced anywhere else!!!" "Long time customer, great service, very courteous and excellent work!" "They are very pleasant and considerate, and speedy." "Awesome!!! George is really nice & very knowledgeable." "My fav mechanics. Jeff and George." "I would always recommend them and I always try too"
"I always take my truck to George at Jeff's Shell. He is exceptional. Nice to have a mechanic I can trust!" "They were friendly, confident and quick." "I know that I can trust Jeff's Shell to handle any problem with any of my vehicles in a professional and accurate manner each and every time. That is why I have been going back for well over 10 years. I can trust that the work done is necessary,done properly and completed in the quickest time possible. I often recommend others to Jeff's Shell." "Their service has always "worked for me"." "Has always found the automotive issue and repaired effectively"
"Jorge and Jeff are always very helpful and kind." "Me and my family have personal relationship with Jeff's Shell Service. The quality of work that we experienced on four automobiles was exceptional. The customer service is excellent! I have compared Jeff's pricing with other dealers in the area and his is the lowest and the work that his mechanics perform is everlasting lasting and you don't continue to take your car back week to week for other issues that seem to pop up." "I tell them about how spoiled I have become due to you guys making it so easy and convenient whenever my truck needs any attention. My truck is really very important to me. Some people don't get it, but if you have that special vehicle that you have trouble finding someone you can trust, you need to check out Jeff's Shell and get to know George. He is going to be your new mechanic and you won't have to worry any more." "I'm so thankful that the lady next to me in the grocery line at Von's was talking about how easy Jeff's Shell made it to get her car smogged after trying several other places. I followed her advice and that's how I came to meet George. Well, George is MY mechanic now and I won't go anywhere else. He's great and takes wonderful care of my truck. Plus, everyone at Jeff's Shell is super friendly and very helpful. What else can you ask for. It is so hard to find people you can trust these days and I'm blessed I found Jeff's Shell." "Jeff's Shell Station is a neighborhood service station you can trust, with reasonable prices." "I would recommend them,in fact I have." "I would tell them to always take their car to Jeff's Shell because they will get great service from honest people." "Great! The whole place is neat and clean. The attitude is also a positive reflection of the image one gets just driving in to get gas. It's what service in general should be like, and sets the standard for what service stations who offer service should strive to achieve." "The service and people are always tops.k"
"Honest good communication on car needs - willing to work on my schedule"
"Service was prompt and courteous." "JEFF'S WORK & SERVICE IS HEAD & SHOULDERS ABOVE ANY LIKE SERVICE IN THE AREA.. YOU'LL BE GUARANTEED SATISFACTION WITH HIS PERFECTION & SKILL ALONG WITH HIS VERY PROFESSIONAL STAFF." "Excellent quality and very professional attention paid to myself and my car." "I trust their work they are very honest. They are also very nice." "You will receive honest work." "George at Jeff's Shell is the mechanic you want. Attention to detail, excellent work and great communication. I've found the mechanic I can trust. And we all know how hard that can be." "I wouldn't go anywhere else then Jeff's shell." "They do whatever they can to ensure quality service is provided." "Great service! Very trustworthy and someone I will continuously bring my vehicle to." "they do an awesome job and they are very trust worthy"
"Very great service, always clean including bathrooms,and workers very nice, Thanks Jeff"
"they communicate issues well, work has been done on time and within recommended cost"
"honest, do what needs to be done, no run around, employs great people. under wonderful ownership shop is always squeeky clean"
"Jeff and his employee's are always professional and friendly. The Mini mart and the gas station are spotless. I have purchased my gas and have had my car serviced at his shop for 25 years . He is always ready to serve with a smile." "Very professional service that I trust and can count on to be consistent." "I would say that George is a skilled and caring technician and I feel fortunate that he has the time to care for my truck. Also, the entire crew at Jeff's Shell is friendly and efficient. Heck, it's a great place to stop for gas." "Excellent work and very honest staff"
"Your car couldn't be in better hands with fair prices and high quality work ethics." "Jeff is very professional and gets the job done right the first. He has been my choice for repairs for over 30 years." "They provide excellent customer service. From owner to cashier. I always feel like family and can trust they will do a great job." "they are very thorough on their work.... very efficient. I will always take my car there..."
"Yes, would highly recommend Jeff's Shell Service's"
"That I have always been very satisfied with the work and service that Jeff has provided. I would recommend his station to others." "I would tell them that I found the work to be professionally done and in a reasonable amount of time."